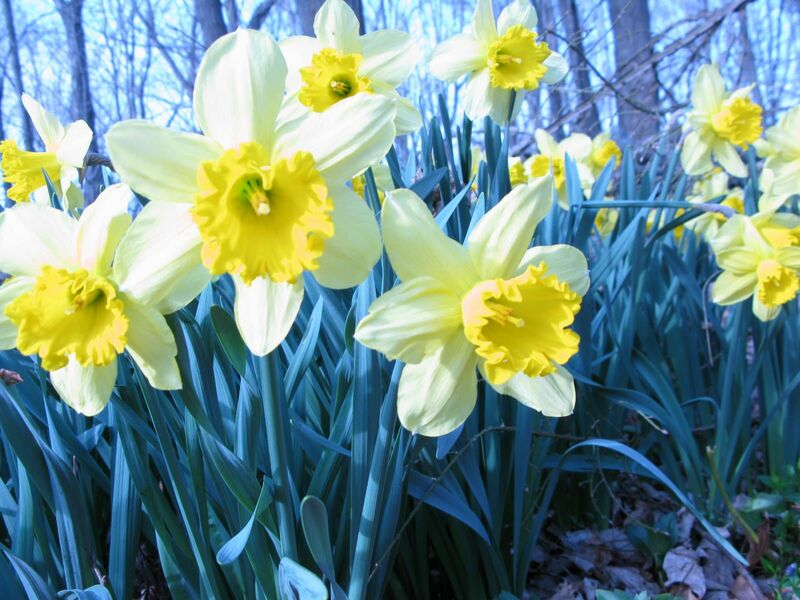 Here on the East Coast, Spring brings with it colorful flowers, warmer breezes, and the return of birds and frogs. For me, I look forward to Spring for all of those reasons. But what I really think about during the long winter months is Spring Cleaning (no, I’m not crazy). I dream of opening all of my windows, cleaning off the accumulated dirt and grime, and letting the sun shine in. There is something about brushing down the cobwebs and wiping off my baseboards that I find relaxing and almost meditative. It gives me time to pause and reflect. I can clear my mind. When my mind is clear and unencumbered with daily tasks is when the best ideas float in. Those stories that have been churning in the back of my mind, and the characters figuring out what they want to say, finally strain to get out. Last month, during a week of particular clarity (and in the middle of purging my children’s unused toys) I wrote two picture books. They were just ready to be written. So how to you clear your mind of your mental cobwebs and start new work (or restart stalled work)? I’m off to find something else that needs cleaning. Or to plant some lettuce in my vegetable garden. Anything for some quiet time. I have 29 ideas left from last November’s Picture Book Idea Month (PiBoIdMo) to work on, after all. Mo Willems is hilarious. Didn’t you know? My son and I began our introduction to Mo Willems with Knuffle Bunny: A Cautionary Tale, and Don’t Let the Pigeon Drive the Bus. Both books were charming and funny. In Knuffle Bunny, Willems employs a creative use of photography along with the drawn characters. In short, we love these books. I enjoyed buying these books to add to our permanent collection. 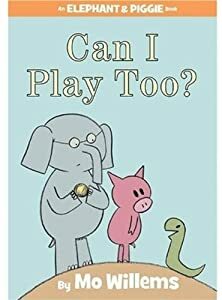 Now that Aidan is in Kindergarten and has begun reading on his own, we’ve started reading Mo Willems’ easy readers together. Our favorites are the Elephant and Piggie series. With basic drawings of the characters (no watercolors or elaborate Jan Brett-style illustrations), you are able to focus on the story. Is the story simple? Yes. Is it witty and hilarious? Absolutely! These books make both of us laugh out loud. When we read Can I Play Too? my son giggles when Gerald and Piggie try to play catch with a snake, and repeatedly bonk him on the head. I laugh when Piggie raises an eyebrow to figure out who is “reading them” in We Are in a Book! In short, we are convinced he is a genius. He manages to create expressive, witty characters with just a few well placed lines. His stories are simple, to-the-point, joyful, funny, and make you want to read them again and again. Additionally, I researched Mo’s background and discovered he formerly wrote for Sesame Street (which earned him multiple Emmys). I’m sold. Anyone who works with the likes of Bert, Ernie, Knuffle Bunny, and the Pigeon is cool in my book. Now if I can just find a way to capture even an ounce of his humor in my stories. What authors make you laugh? What is it about their books that tickles your funny bone?